This piece by guest author Chuck Gunderson is part of a series of essays to mark the 50th anniversary of the Beatles' first American television appearance on CBS's "The Ed Sullivan Show." It culminates with CBS News, 50 Years Later...The Beatles at The Ed Sullivan Theater: Presented by Motown The Musical, a live, interactive multimedia event at The Ed Sullivan Theater on Feb. 9. It was record-shattering, precedent-setting, groundbreaking, earth-shaking and moneymaking. 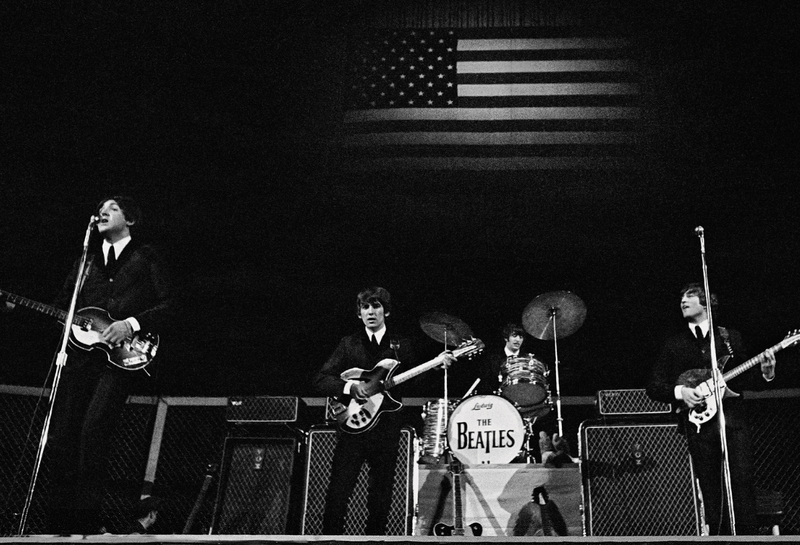 The Beatles' 1964 tour of North America would forever change the concert industry. In February 1964, after finally achieving a number-one hit in America, the Fab Four came to the United States with high hopes, performing on the widely popular Ed Sullivan Show both in New York City and Miami Beach and playing concerts at Carnegie Hall and the Washington Coliseum. In just 15 short days, the Beatles conquered America. On the heels of the successful Sullivan shows, Beatles manager Brian Epstein and Norman Weiss of NewYork's General Artists Corporation drew up an ambitious plan to present the Beatles to America's teenagers in a series of concerts that would crisscross the nation. The group would play in L.A.'s Hollywood Bowl, Colorado's Red Rocks Amphitheatre, venues from Chicago to New Orleans, Boston to Jacksonville. All told, the first official tour of North America would have the group play a staggering 32 shows in 26 venues in 24 cities in just 33 days. In the end they would walk away richer by $1 million -- in today's dollars, about $7.5 million. GAC's Weiss marveled, "In the more than 15 years that I have been in this business, I do not know of any attraction that has come close to this sort of money in so short a tour." For talents like Frank Sinatra or Judy Garland, promoters were accustomed to paying appearance fees of $10,000 to $15,000 ($75,000 - $112,000 today). They were shocked to learn it would take $25,000, $30,000 or even $40,000 in guarantees ($150,000 - $300,000 now) plus a percentage of the gate. But each was eager to cash in on Beatlemania. During the tour, the group encountered total chaos in every city they played. They endured bomb threats, blackmail plots, teenagers who infiltrated their hotels dressed as maids, and even a prediction from a famous astrologer that they would all die in a plane crash. Elaborate plans were drawn up to transport the Fab Four to hotels and venues. These included the use of ambulances, police paddy wagons, armored trucks, and, in one case an empty fish truck. Hucksters as well as managers of fine hotels gathered up bed linens, pillowcases and even the carpet the Beatles walked on to be cut and sold off to fans that were eager to get their hands on anything the Beatles touched. Perhaps no musical act before or since will ever rival the Beatles on their groundbreaking tour of 1964. John Lennon, Paul McCartney, George Harrison and Ringo Starr would not only leave an indelible impression on their fans in the United States and Canada, but also leave the continent with devotees hungering for more. Chuck Gunderson is author of the upcoming book, “Some Fun Tonight,” an epic two-volume set on the history of the Beatles' North American tours of 1964 to 1966.